Why? I was invited out to Doha to attend the grand opening of the world’s biggest Nobu. I’m a huge fan of the highly acclaimed restaurant already, especially the legendary, signature dish, ‘black cod in miso’, so I was hugely excited about the trip! As well as the restaurant opening, I got to sample some of the highlights of this relatively new Middle Eastern city. Doha was named the capital of Qatar in 1971, since then this fast growing urbanisations has become one of the richest cities in the world. So, as expected, I was in for a seriously high octane, luxury experience. Doha did not disappoint. 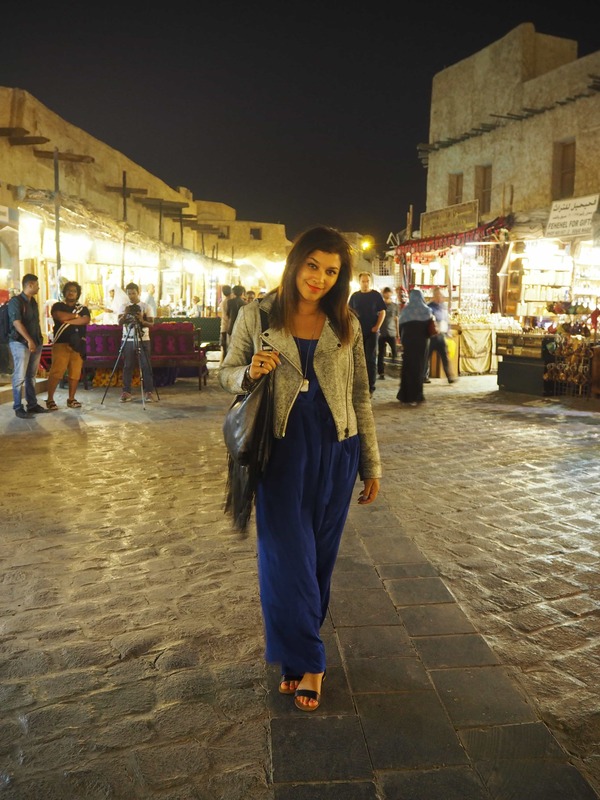 Here is The Style Traveller’s guide to Doha. Special thank you to? 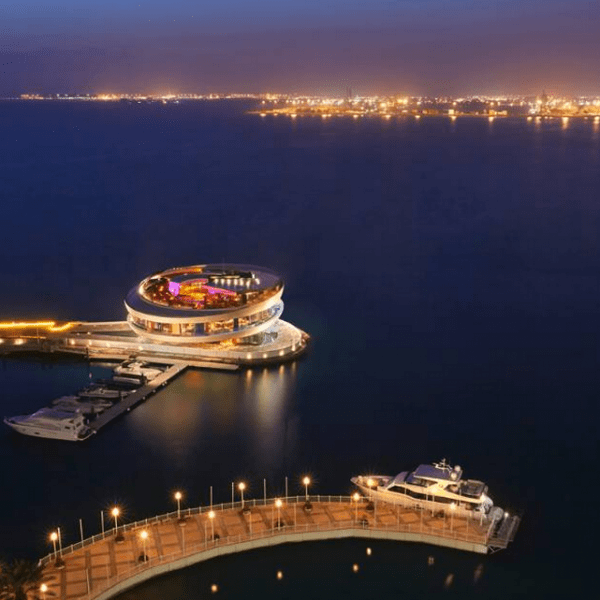 The W Doha for giving me the ultimate, personalised experience! On arrival in my room (which had been upgraded to the Wow Suite! ), by the side of my bed was a copy of the Doha Times, with me on the cover!!! What a lovely surprise and certainly one I have never experienced in any hotel before. That’s what I call hospitality and paying attention to detail. Thank you for making me feel so special! 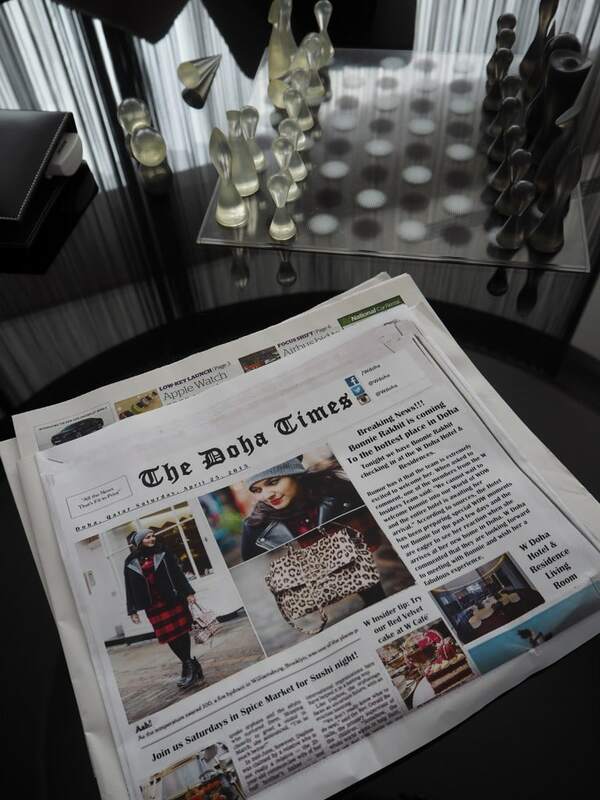 Copy of the Doha Times with The Style Traveller on the cover! The ultimate personalised gift experience. 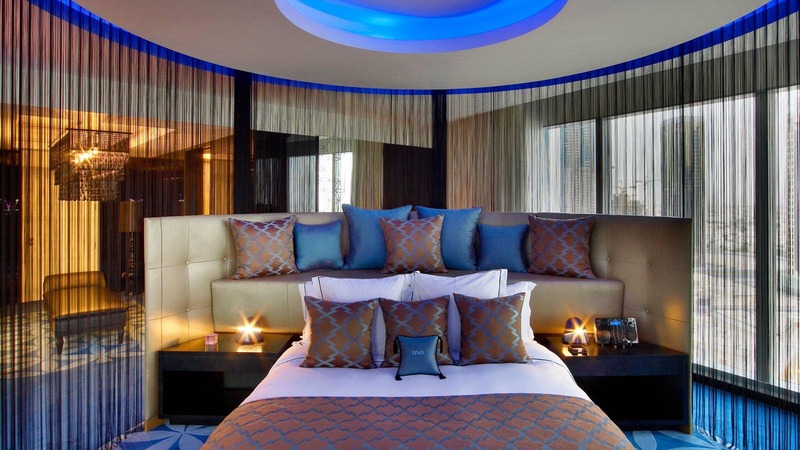 Above and below: The Wow Suite – My bedroom and living area at the W Doha. Serious wow factor! 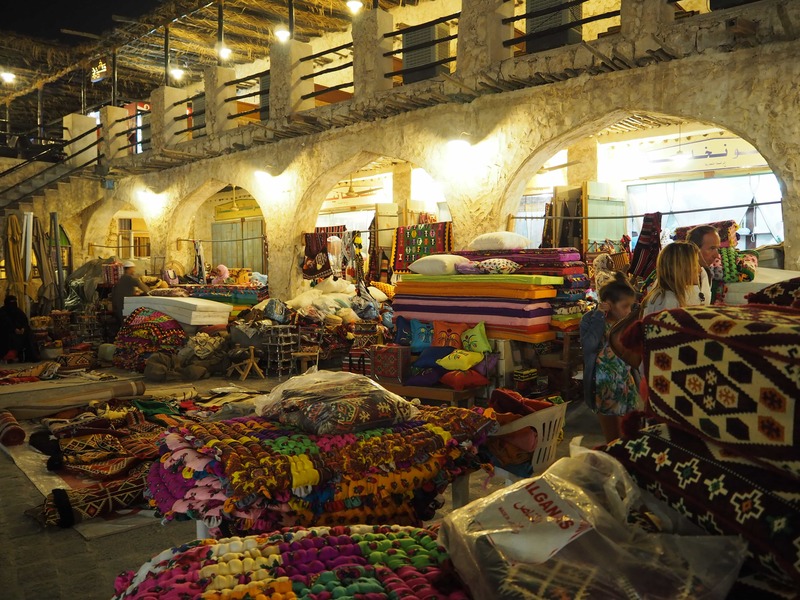 Head to the charming and bustling, Souq Waqif to pick up some last minute gifts. 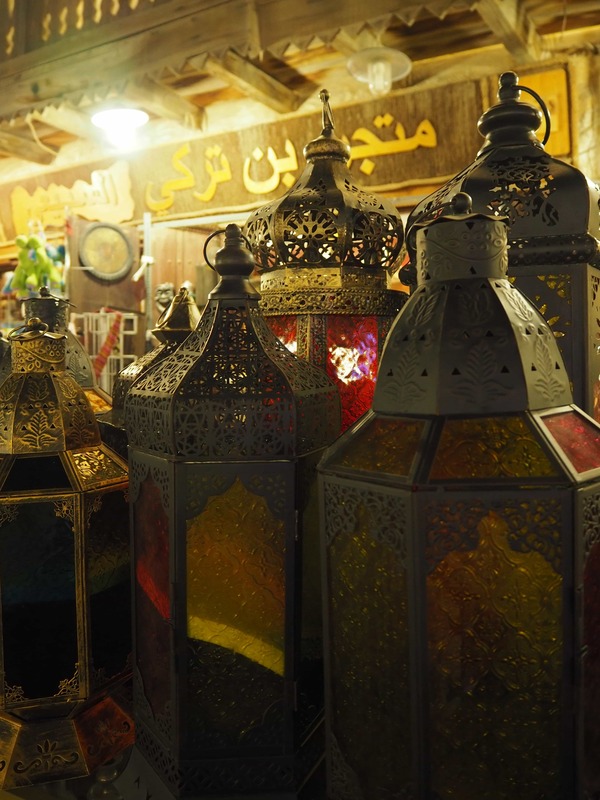 Selling a kaleidoscopic array of home wares and decorations, from elaborate, glass lanterns, exotic perfumes to magic carpets (not sure if they fly though), it’s the perfect place get a sense of the Old Doha. 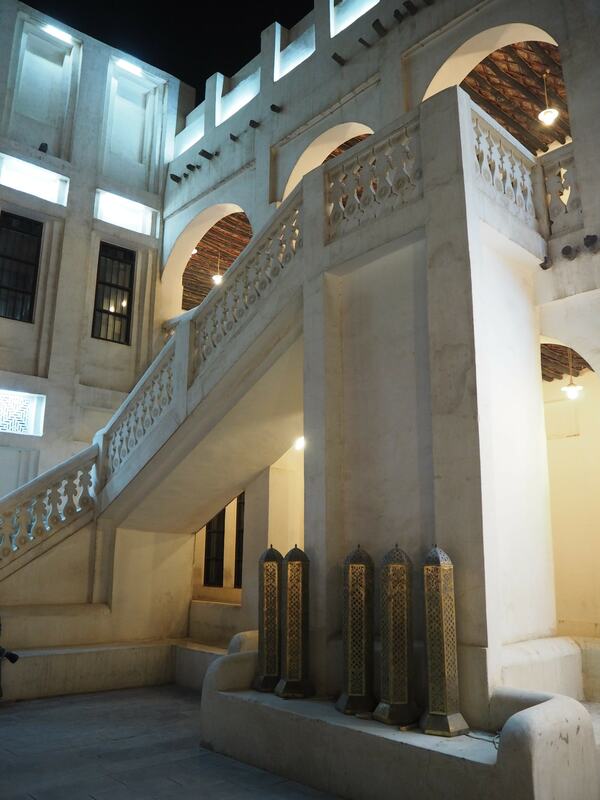 Wander around the quaint alleyways and get lost in the heady aromas of the shisha pipes. Indulge in delicious, Middle Eastern dishes from the street side cafes. Always remember to barter for your souvenirs, the shop tenders will think you’re rude if you don’t! The Style Traveller top tip – head to the market in the evening, it’s much nicer wandering around in the cool night air and buy some Medjool dates, they are the best in the world apparently! 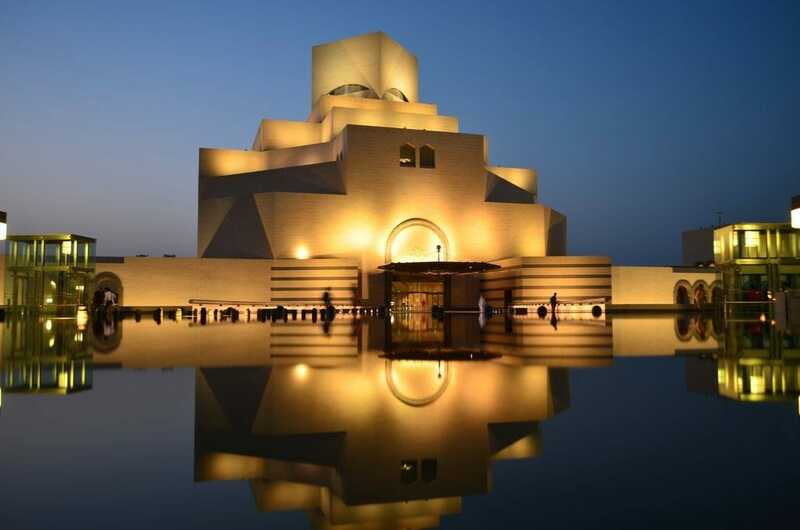 Housed in the majestic elegance of Qatar’s most spectacular architectural structure, The Museum of Islamic Art, is as seminal an art work, as the treasures that lie within it. Take a retrospective look at Islamic art throughout Asia, from the 7th to the 19th century. As well as the exceptional permanent collection, it hosts a wealth of insightful and interesting guest exhibitions too. 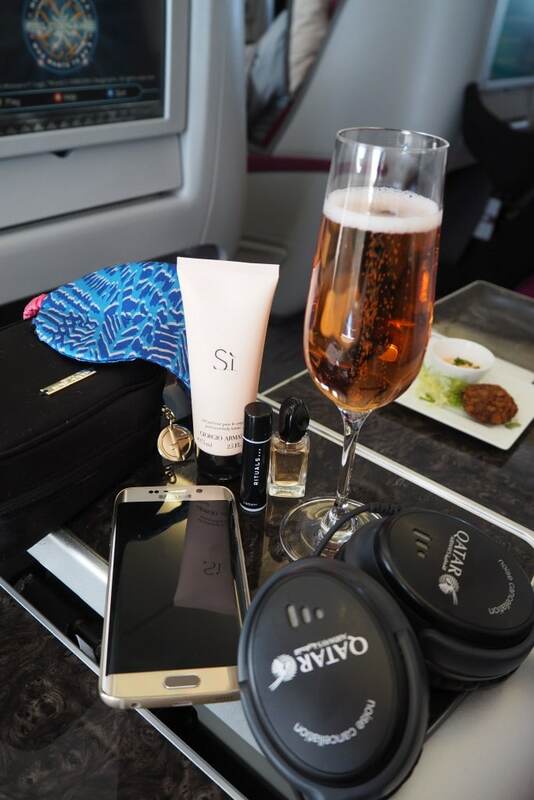 The Style Traveller tip? Spend the morning browsing the beautiful collections, then book into IDAM restaurant, which is celebrity chef Alain Ducasse’s first venture into the Middle East. Feast on tender octopus with saffron infused potatoes and roasted blue lobster. Indulge in the Phillip Stark designed interiors, whilst enjoying breath taking views of the Doha skyline. Above: Phillip Stark designed interiors at IDAM restaurant by Alain Ducasse. For thrill seekers and adrenaline junkies, look no further than the heart racing, dune bashing experience. 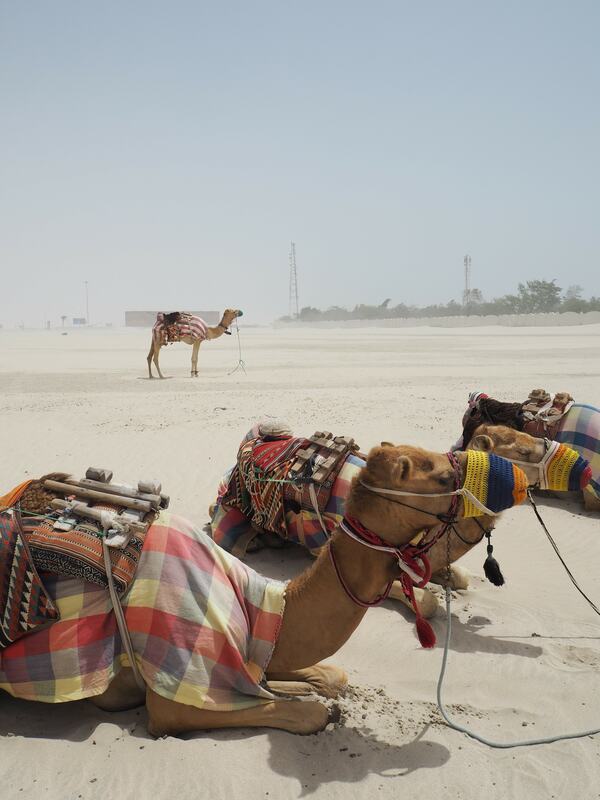 We drove out to the desert to meet our fearless driver Mohammed, who put his Land Rover 4×4 through it’s paces, on the never ending sand dunes of Doha. Mid trip you get to stop off at the beach for a spot of respite, a lunch time swim and beach BBQ. 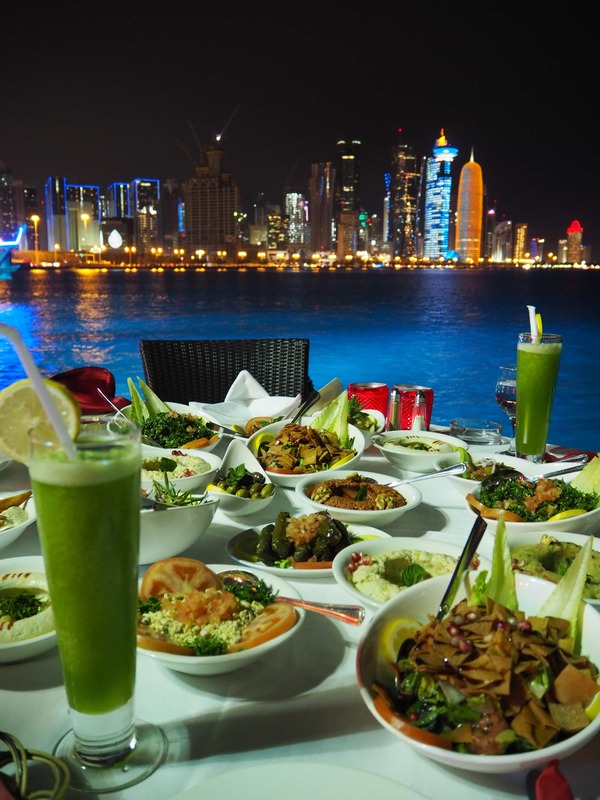 To sample a traditional Qatari mezze feast, complete with homemade hummus, tabouleh, kebabs and fatoush salad, book a table at award winning Al Mourjan restaurant. (Pictured above). Qatar is a dry country, so many of the restaurants are alcohol free. To enjoy a tipple with your dinner or a spot of partying at a bar or nightclub, head to one of the international, luxury hotels. One of the best night clubs in the city is The Crystal Club at The W Hotel. Perfect if you happen to be staying there already!